I want to change. I need to change. I'm gradually losing touch with myself. 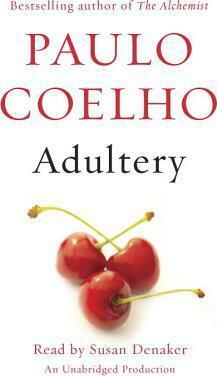 Adultery, the provocative new novel by Paulo Coelho, best-selling author of The Alchemist and Eleven Minutes, explores the question of what it means to live life fully and happily, finding the balance between life's routine and the desire for something new. From the Hardcover edition. Paulo Coelho is the author of many international best sellers, including The Alchemist, The Pilgrimage, Eleven Minutes, Aleph, and Manuscript Found in Accra. Translated into 74 languages, his books have sold more than 140 million copies in more than 170 countries. He is a member of the Brazilian Academy of Letters and, in 2007, he was named a United Nations Messenger of Peace. Translated by Margaret Jull Costa and Zoe Perry.